Observation - Two Jays - UK and Ireland. 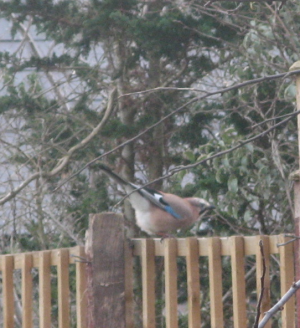 Description: Two jays in my garden making noise, sharpening their beaks to the fence, finding food and hopping around. Two jays in my garden making noise, sharpening their beaks to the fence, finding food and hopping around.